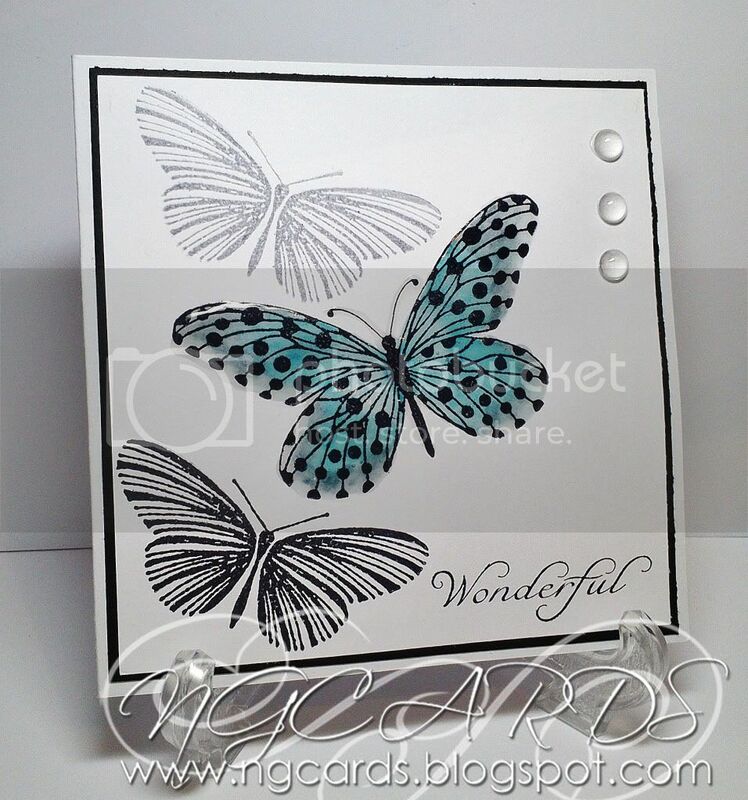 Social Butterfly with Penny Black! This week we are all about Penny Black! This particular brand of stamps has been around for years! You may know them best for their cute hedgehog themed wooden stamps and various animals. Today however I thought I would use of their newest Transparent Sets which is more of a Modern theme for them but just as loveable! I have used 'Social Butterfly'. For my card I wanted to make it all about the stamps so I decided that a Clean & Simple style would work the best! To start off I stamped the sentiment that came in the set in the bottom right corner of some white card stock that I had cut to fit some black card stock. 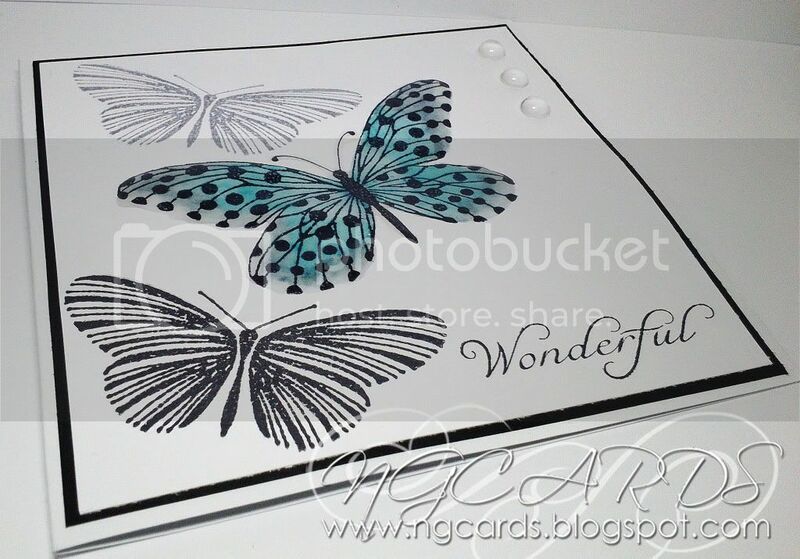 I chose the spotty Butterfly design and stamped it in the centre with the smaller stripy butterfly to the left. Next without re-inking I stamped the stripy butterfly again in the top left. This technique is called 'Second Generation Stamping'. 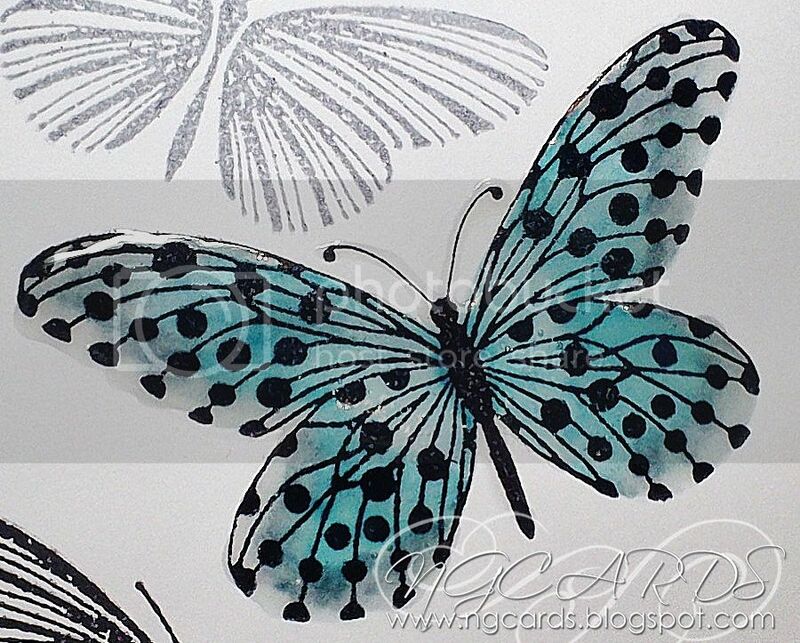 To make the centre Butterfly stand out I have coloured it in with 3 different Distress Markers. I have used the lightest to the darkest shades from the inside outwards of the butterfly, blending together with a water brush pen. Next I added some Distress Stickles which unfortunately you can't really see in the photograph. I then finished it off with some Glossy Accents over the top! 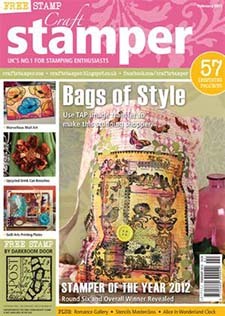 Before I go I wanted to share some great news with you all, I have a card featured in this month's issue of Craft Stamper Magazine (Feb 2013)! 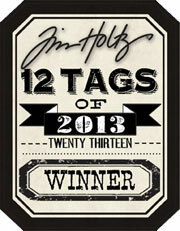 The card is part of the 'Ready, Set, Stamp! Feature!' 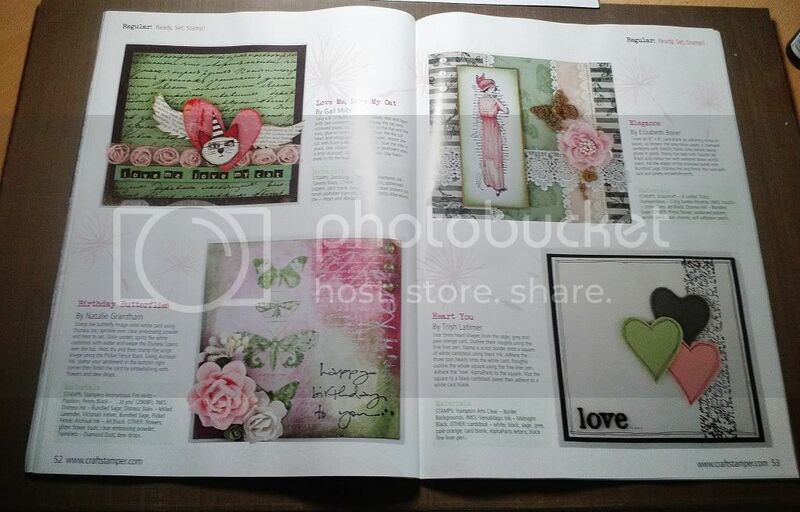 that showcases a selection of cards you can make under 30 minutes along with a particular colour scheme! I also wanted to share the news with you that the December Tags I shared with you all for the 12 Tags of 2012 by Tim Holtz were actually chosen as one of his 12 favourites! Alongside just the honour of being picked I also won a prize of a voucher for some goodies!